Shop Electro-Voice ZLX15 15" 2-Way 1000W Full Range Passive Loudspeaker from AMS with 0% Interest Payment Plans and Free Shipping. 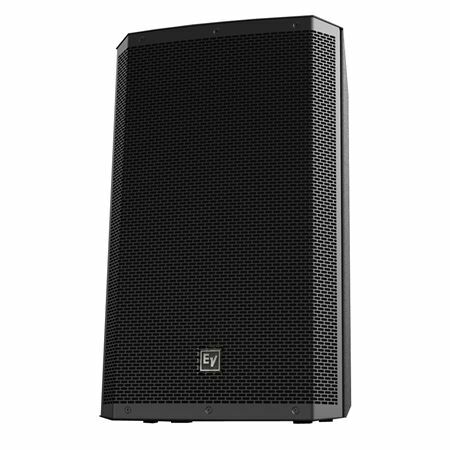 Engineered to the Electro Voice’s exceptional audio quality standards, the Electro Voice ZLX15 Passive Loudspeaker delivers high powered performance for venues that need a big sound for a large area. ZLX15 passive speakers feature a 15 inch woofer, 1.5 inch titanium compression driver and uses the industry's most trusted components to handle up to 1000 watts peak for a loud and clear audio for any application. When choosing a loudspeaker, it's always wise to ask ‘What's inside the box?’ Then take a listen and hear the EV difference for yourself. Featuring custom drivers housed in a breakthrough new cabinet design, the two compact and versatile passive ZLX models make EV's legendary sound quality and rugged reliability more accessible than ever before. Do you think the Behringer EP2000 Stereo Power Amplifier will power these good? I am considering purchasing 4 of these. Very light, the sound is very clear and warm. I only buy EV the innovations and technology they have made seems to bring more power and sound quality fir the money.